Very few people who set out to purchase used vehicles are expert mechanics who know how to inspect a car thoroughly. Instead, they must trust services like CarFax and Kelley Blue Book to discover the true history and market value of the vehicle they wish to purchase. However, it can be extremely difficult to do this when the owner of the car is tampering with the car’s tracking features to make it more appealing to potential buyers. This has become a growing issue in Florida, and law enforcement has begun to crack down on those suspected of intentionally misleading consumers. If you or a loved one has been accused of odometer fraud, don’t hesitate to seek the services of a knowledgeable defense attorney. 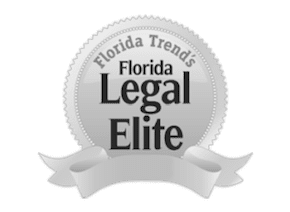 The Orlando odometer fraud defense lawyers at The Umansky Law Firm are seasoned criminal defense attorneys who regularly represent those facing a range of fraud charges. We understand how being charged with fraud does not only put you in legal trouble but is also a direct attack on your character. We are here to provide you with the legal representation needed to have the charges lessened or dropped altogether. Reach out to us so that we can start crafting a defense to your charges today. The statute also strictly prohibits one from supplying a written odometer statement knowing that the information in such statement is false and bringing a vehicle into the state which has been illegally altered. The National Highway Traffic Safety Administration (NHTSA) concluded that roughly 450,000 vehicles are sold annually with false odometer readings, ultimately costing buyers over $1 billion in service fees. Those suspected of odometer fraud often face charges for grand theft and title fraud as well, each of which carries severe criminal penalties. Fraud crimes are often aggressively prosecuted by the state being that the sole purpose of the alleged criminal is to mislead and defraud an unsuspecting individual who has trusted them. It is not rare for a judge to make an example out of someone accused of odometer fraud by punishing them to the fullest extent of the law. This can all be avoided, however, with the legal counsel of an experienced fraud defense attorney. The Orlando odometer fraud defense lawyers at The Umansky Law Firm have over 100 years of combined experience. Many of us have also served as prosecutors on the state and local level. Our team is passionate about clearing the name of alleged criminals and helping them settle their legal matters on the most favorable terms. Contact us today at 407-228-3838 for a free case evaluation.